Police Scotland has confirmed its officers still have the responsibility to police illegal parking issues on the streets of Falkirk. When police withdrew the traffic warden service, Falkirk Council agreed to pursue a Decriminalised Parking Enforcement (DPE) designation order and police the streets themselves. In September last year the council settled on a model which favoured reassigning part of the current off-street enforcement resource to on-street enforcement, hiring another two members of staff. 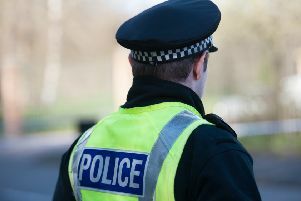 However, the DPE application is still ongoing and police retain the responsibility in the meantime as Chief Inspector Damian Armstrong, Falkirk area commander, told members at a meeting of the council’s external scrutiny committee last week. Councillor John McLuckie said there seemed to be some confusion among police officers regarding the issue. He said: “Officers have told me it is not their responsibility if someone is parked in front of a school. They say it’s only commercial vehicles they are responsible for.